Although the Bogle family has been farming since the mid-1800's, it was not until 1968 that the father and son team of Warren and Chris Bogle planted their first 20 acres of wine grapes in Clarksburg, California. 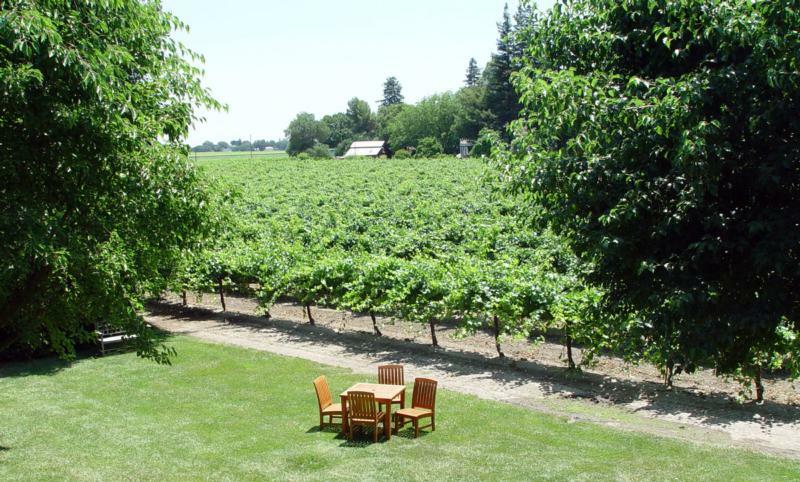 In this small farming community nestled along the Sacramento River, the Bogle family's years of hard work have developed into an impressive grape growing operation, as well as a nationally acclaimed winery. Today Bogle Vineyards farms over 1,500 acres of wine grapes. While the winery was established ten years after the first grapes were planted, its success has grown tremendously along with the vineyards. The success of Bogle over the years is rooted in one thing: the day-to-day involvement of the Bogle family. Currently the 6th generation of the Bogle family is getting its hands dirty in the family business. The children of Chris Bogle and his wife Patty, are currently at the helm. Ryan Bogle draws on his business degree and accounting experience to work the numbers side of the business. Jody Bogle VanDePol oversees customer relations, the wine club and all international sales. Warren Bogle, named after his grandfather and vineyard founder, continues the decades long tradition of farming the fertile Delta region. Like his father and grandfather, Warren understands that in order to produce quality wines, you must first produce quality grapes. This respect for the land and the vines is crucial to the success of Bogle wines, and continues to be passed down to the newestgeneration of Bogle's today. Phantom Chardonnay is a richly textured wine boasting lush vanilla and oak spice notes along with creamy texture that is pure California in style. Sure to be a huge hit with Bogle fans everywhere! The Quick Ranch, located on Merritt Island in Clarksburg, has long been one of the Bogle’s best producing Petite Sirah vineyards. This 30 acre parcel, planted in 1995, has once again delivered fruit of intensity and concentration, and remains the source of Bogle’s ruby-style Petite Sirah Port. Wine Enthusiast 89"Lively fruit flavors and great balance make this wine easy to appreciate and a versatile pairing with food. Fresh cherry and raspberry aromas meet rich flavors on a smooth texture that has just enough light tannins for a little grip. Best Buy."